As part of a nationwide day of protest against cuts to public education and hikes in tuition rates, students, faculty and community leaders marched from UC Berkeley to downtown Oakland last Thursday. 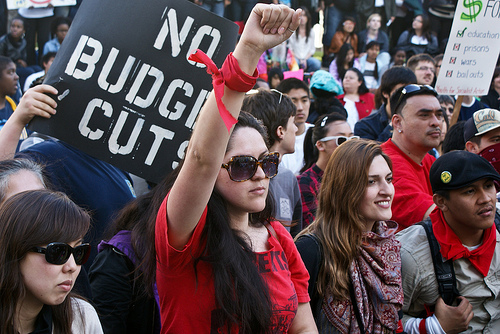 The “National Day of Action for Public Education” on March 4 came after the Sept. 24 UC Berkeley walkouts, where over 1,000 students and faculty demonstrated against the massive cuts and budget increases. Most students were protesting the 32 percent tuition increase, which will raise $505 million for the University of California to prevent further cuts according to University officials. According to CNN.com, $175 million is planned to go to financial aid in order to balance the tuition increase by providing assistance to low and middle-income students. The tuition increases will be implemented in the next two years, with UC Berkeley students having to pay $8,373 this spring semester and $10,302 in fall 2010. 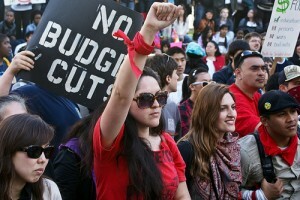 At Frank Ogawa Plaza at Oakland’s City Hall, nearly 2,000 demonstrators attended a rally that featured testimonies from students in both higher education and high school, concerning the cuts and other economic issues. According to Oakland Police Sergeant David Faeth over 150 officers were called out to the rally as they surrounded the crowd dressed in riot gear. “I think it is ridiculous. Public education is getting less and less accessible for those who need economic support,” said senior Jenna Marsh, who is cross-transferring credits at UC Berkeley and whose class was let out early for the protest. “It is just shocking that they would cut an already underfunded institution,” said sophomore Goldie Negelev, who is also taking a course at UC Berkeley. Teachers and staff attended the rally wearing green shirts in solidarity with those affected by budget cuts. The rally ended peacefully, though a splinter group demonstrators broke off around 5 p.m. and ended up walking onto I-880 from 11th street, causing traffic to stop in a standstill. More than 150 people were arrested, including several reporters and a Mills College first-year student. Archer was not hit by the police during the arrest, but was forced to duck low onto the freeway as the officers barricaded the crowd. The freeway was reopened an hour later and those arrested were released a day later including Archer. 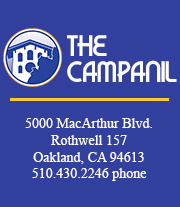 Interview with Student Protester | Mills College from The Campanil on Youtube. Sophomore and activist Lina Blanco publicized the protest for the Mills community to be involved and believes that the demonstration is only beginning in addressing issues concerning public education cuts. Blanco was inspired to participate in the protest after attending a meeting with the Third World Assembly at the Intertribal Friendship House as organizers talked about the protest last semester in response to tuition hikes and privatization at UC schools. There are Post-March 4th Teach-In’s and Information sessions on Wednesdays at 7 p.m at Dwinelle Room 370 at UC Berkeley. She and her other organizers are planning a regional meeting to prepare for the statewide townhall meeting coming up in a couple weeks. 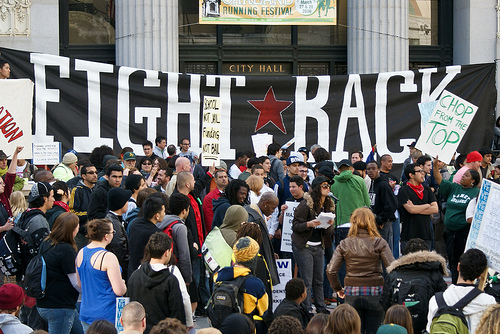 For more photos of the March 4 Protest, check out the rest on Flickr.